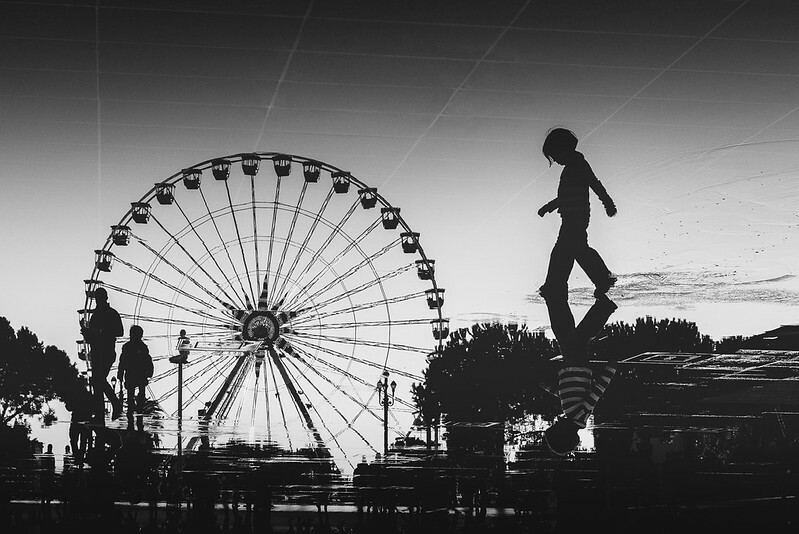 My flickr contact ZTarek posted this excellent reflection shot somewhere in France. I agree Martin, sometimes less is more. I wish I totally understood the shot but I’m not sure I do but yes, what I can see is fantastic perspective. Those look like ceiling tiles to me but the rest of it is anybody’s guess. Brilliant shot! Outstanding! …the composition, lights and shadow. wow! I agree Markus. I have more of his work coming soon; he has a great Flickr collection. Agreed roaming pursuits. I like images where I’m not quite sure how they were made and this is one of them.